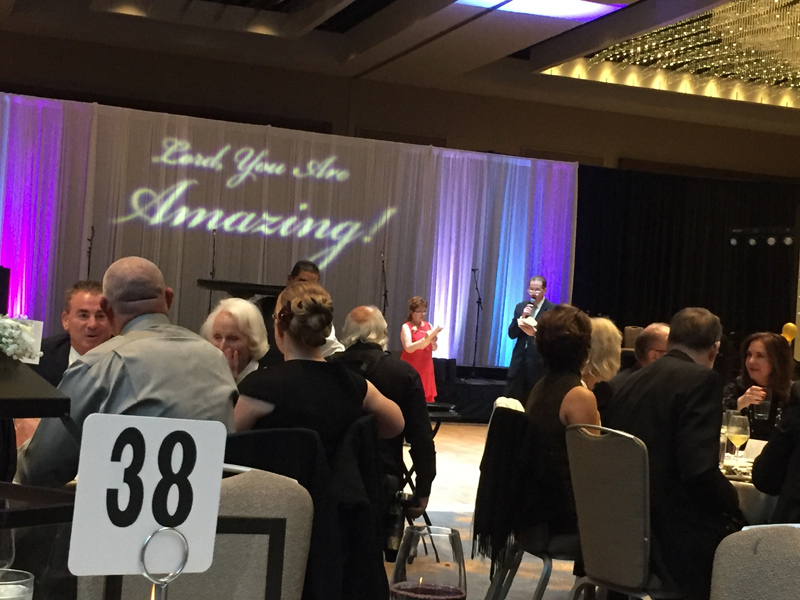 The 35th Annual Whispering Winds Dinner Dance Gala was held at the San Diego Marriott Marquis & Marina on Saturday, February 11, 2017. Barbara J. Menard and Jim Ogilvie joined close to five hundred guests for an elegant evening that included a silent auction and raffle, dinner, a live auction, program with slides updating the successes of 2016, and dancing. 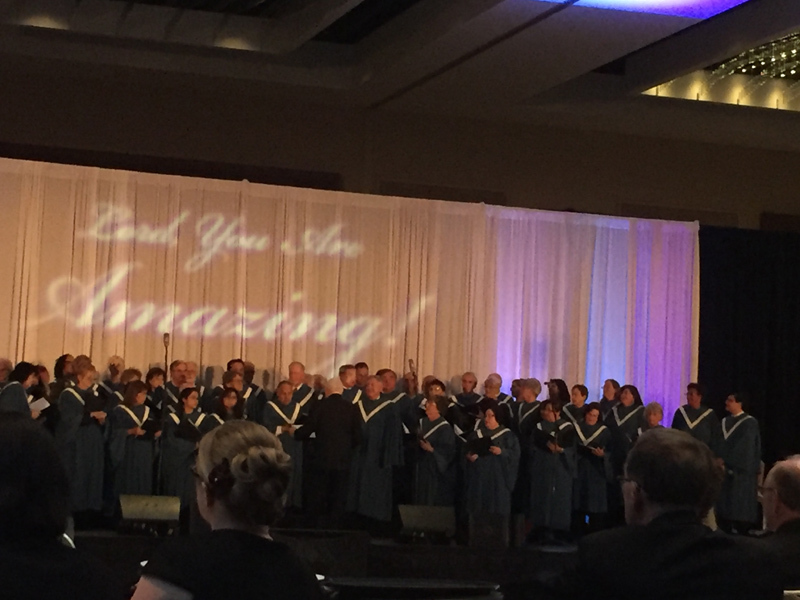 A combined choir from Mission San Diego d’Alcala and St. Michael’s parish provided musical entertainment and song. Whispering Winds is a Catholic Conference Center located in Julian, CA. This event was entitled “An Amazing Evening” filled with faith, fellowship and continued support for Whispering Winds camp. The program states: “As a debt-free, non-profit camp, we are so blessed. We are thankful for the Caster Family’s generous pledge that will provide the buildings that will bring our camp and conference center to full capacity.” The funds raised during the evening will continue to expand the number of people served at the camp. Whispering Winds’ mission is to provide a Christ-centered environment, apart from the everyday world, where all are welcome to increase their knowledge of and commitment to Christ, and join as fellow pilgrims on their journey of faith with God.